2Do you already have a place in the event? The deadline for entering ASICS Manchester marathon has now passed. Please see our other challenge events to find out how you can get involved and support LGBT equality. The ASICS Greater Manchester Marathon is one of the UK's premier running events, famous for its fast, flat and friendly route. This is Stonewall's debut entry into the race and we're looking for some incredible people to make it an event to remember. 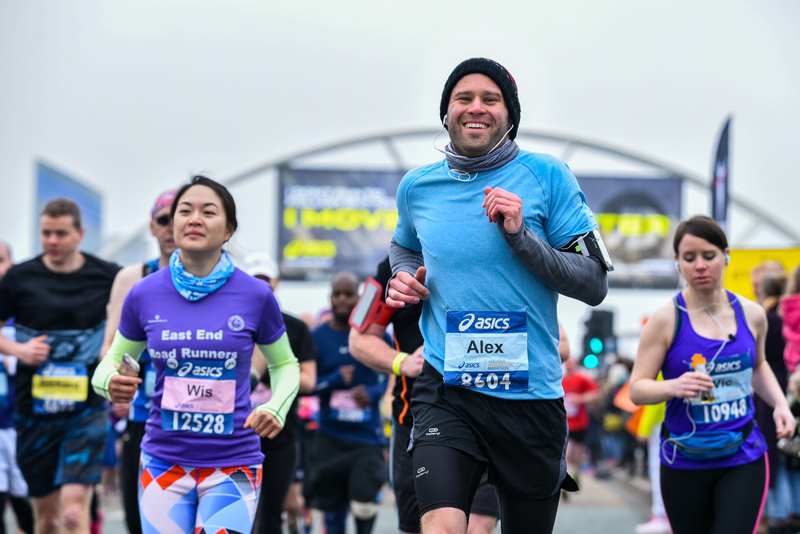 Stonewall have a limited number of guaranteed places in the 2019 ASICS Greater Manchester Marathon. Do you already have a place in the event? If you have purchased your own place in the 2019 ASICS Greater Manchester Marathon 2019 and you're looking for a charity to support, we’d be thrilled if you chose to run with Stonewall on our 30th anniversary. By purchasing your own place, you won’t have a minimum sponsorship target, we’ll just support you to raise as much as you can. Contact Milly at community@stonewall.org.uk for more information. By being part of the Stonewall team, not only will you have an incredible sense of achievement when you cross the finish line but you’ll make a huge difference to our work for acceptance without exception for LGBT people everywhere. If you need any more information or have any questions contact community@stonewall.org.uk or 020 7593 3477.